Thom Browne - Thom Browne's impeccable manufacturing extends to these light grey track pants, crafted in Italy with subtle nods to the label's signature tailoring. Recognisable emblems include four white stripes across the thigh, as well as a white label at the ankle and the tricolour grosgrain tab at the back. The fit is relaxed with straight legs and runs according to size. 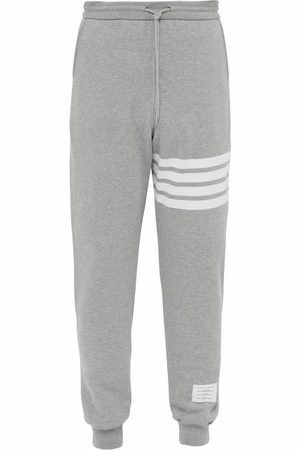 Honeycomb Pique Sweatpants in .